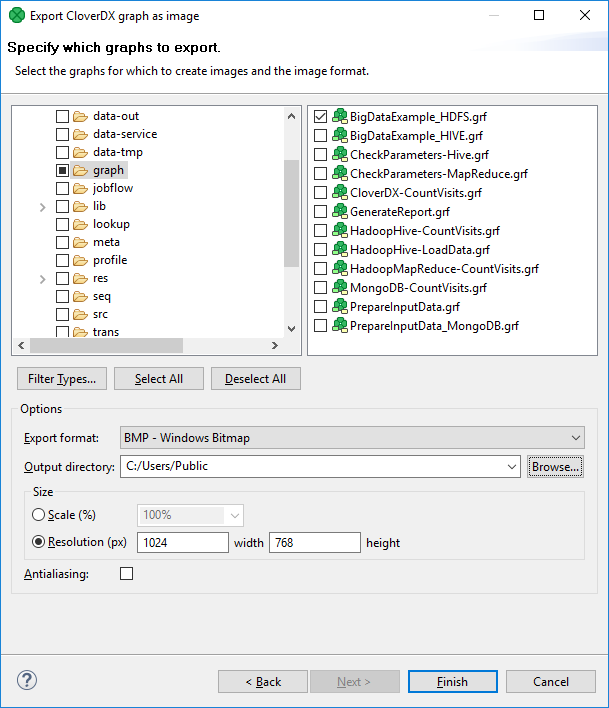 This option allows you to export images of the selected graphs only. You must select the graph(s) and specify to which output directory the selected graph(s) images should be exported. You can also specify the format of output files - bmp, jpeg or png. By switching the radio buttons, you are selecting either the scale of the output images, or the width and the height of the images. You can decide whether antialiasing should be used.